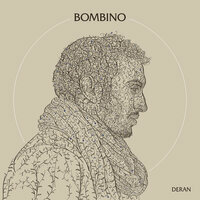 The Tuareg guitar player Bombino is back with Deran his fourth studio record which finds him eschewing modern rock producers to return back to Africa to record primarily in Casablanca. The songs are sung in Tuareg, messages of hope and peace are spread in his unique mixing of rock, eastern, groove and splashes of reggae. With his band (Illias Mohammed on guitar, Youba Dia on bass, Corey Wilhelm on drums, Hassan Krifa on percussion, and Mohammed Araki on keyboard) he traveses familiar terrain for anyone who has checked out his playing before. Bombino (born Omara Moctar) has his style and on all of his releases it is only the small details that separates things for non Tuareg speaking listeners. Opener "Imajghane (The Tuareg People)" kicks things off with swirling guitars in the patented Bombino fashion before "Deran Deran Alkheir (Well Wishes)" picks up the pace and adds backing vocals. "Tehigren (The Trees)" is the first excellent track as it begins with Bombinos unique take on reggae before kicking up the tempo into a full dancing groove before ending on a metal riff which hints at a whole new horizon; it is a standout on the record. "Tenesse (Idleness)" closes out with a guitar solo that is a touch buried behind sounds while "Oulhin (My Heart Burns)" is more upbeat with hand claps and rhythms matching the vocals. The chanting repetitive "Adounia Dagh (This Life)" goes on a bit long but also showcases strong acoustic guitar work before "Adouagh Chegren (At the Top of the Mountain)" closes the album with more acoustic fret work that has a more natural ebb and flow. The production of this record has been noted as it is the first in a few not to feature an indie rock man behind the boards, but the production is also a muted especially when it comes to drums and rhythm sections. On the excellent Azel David Longstreth was able to meld Bombino's style and experimentation with the artists love for Dire Straits, seeming to be a perfect fit where Dan Auerbach's more blues roots style on Nomad was a touch abrasive. Deran feels neither rough or well matched, in production terms it isn't horrendous, just diluted compared to past offerings. That said, fans of Bombino now have another full length to enjoy. As a site who has been a fan since first catching him back in 2011 this is a major positive. However, if we were guiding newcomers to his sound RtBE would pick out past efforts for them to listen to first.